Mike Ozekhome, the lawyer representing embattled Kogi State senator, Dino Melaye, has explained the current situation of the lawmaker, following his trial for alleged criminal conspiracy in Lokoja, the state capital, Thursday. Mr Melaye was earlier arraigned at an FCT Magistrate Court for attempted suicide and destruction of public property, among other allegations on Wednesday. He reportedly jumped out of a moving vehicle when the police attempted earlier to move him to Lokoja to face trial a few days ago. He was thereafter hospitalised for a few days under the close watch of police personnel. 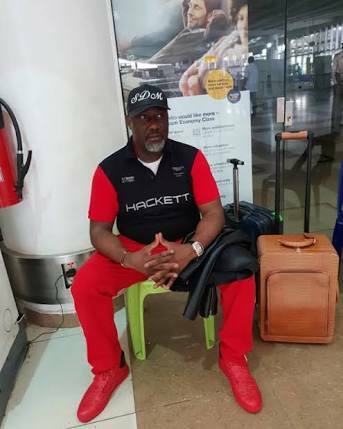 Mr Melaye was arraigned after he was confirmed fit for trial, the police said, although the lawmaker appeared at the court session on a stretcher. He was thereafter taken to Lokoja after the judge granted him a N90 million bail. In Lokoja, where Mr Melaye was again arraigned, the prosecution asked the court to detain the lawmaker in prison, his counsel said. In a telephone interview with PREMIUM TIMES, on Thursday afternoon, Mr Ozekhome denied media reports that Mr Melaye was remanded. Mr Ozekhome said the police will have no alternative but to return Mr Melaye to the National Hospital Abuja, ”especially since hospitals in Kogi State are all on strike”. Mr Melaye was taken in the early hours of Thursday morning to Kogi State and arraigned at 9.17 a.m.
Efforts to get the Force Public Relations Officer, Jimoh Moshood to react was not successful. It is not yet clear if the police will bring the senator back to Abuja or keep in Lokoja.